Located at a mere distance of 15 km from the heritage city of Mysuru is Srirangapatna. The town is enclosed by river Cauvery, which lead to the formation of this river island town. The town gets its name from the well known Ranganatha Swamy temple here, which is one of the most important Vishnu temples in South India. Srirangapatna since time immemorial has been an urban centre and a pilgrimage site. During the Vijayanagar empire, the place became the seat of a major royalty from where many nearby feudal states of the empire like Mysore and Talakad were overseen. The place was also the capital of the Mysore kingdom under Hyder Ali and his son Tipu Sultan. By Air: The nearest airport is the Kempegowda International Airport in Bengaluru which is approximately around 166 km away from here. By Train: Srirangapatna railyway station here, which is located at the heart of the town, has regular trains to all major towns and cities across the state and to a few places around the country. By Road: One of the best ways to reach Sri Rangapatna is by road. The town is well-connected by roads and there are regular buses which operate from major cities to Srirangapatna. Those who want to opt for Route 1, it would take you approximately around 3 h to reach Srirangapatna, via NH 75. The route takes you through the well-known towns of Ramanagara, Mandya, Madduru, etc. The roads are well-maintained, which helps one to cover the distance at a good pace and the destination is about 130 km through this route. If you opt for Route 2, it would take you approximately 3.5 h to cover a total distance of 157 km from Bengaluru to Srirangapatna, via NH 209. On Route 3, it would take you around 4 h to cover the distance of 168 km, via NH 75 and NH 150 A, to reach Srirangapatna. An early morning start from Bengaluru is a must for two reasons, one to beat the city traffic and second to beat the highway traffic. Once on the highway, there are plenty of options for one to have a filling breakfast, which begins from the thatte idlis of Bidadi to the yummy dosas at Kamat Loka Ruchi in Ramanagara. After a filling breakfast, one can head straight to the historical town of Madduru. The place is well known for Maddur vada. Madduru gets a large number of visitors due to the dish. Onions and rava give the Maddur vada a very special flavour. An ancient Jain temple which dates back to the 8th century was dicovered here by the Archaeological Survey of India. The temple is built with bricks and stones and is around 100 ft long and 40 ft wide. Shilabalikes (sculptures of young women), dwarapalakas (gatekeepers) and a 3.5 ft tall idol of Baahubali was also excavated here. The village of Kokrebellur is home to a large number migratory birds who come to this place during the breeding season, which attracts a large number of tourists from not only Bengaluru, but from across various parts of the state. The Madduru mosque was built in the year 1937 which has a plaque which says "no right whatever to forbid the use of music by religious and other procession passing before the mosque". This is a fine example to show the harmony and the cordial relationship shared here by the Muslims and the followers of other religious beliefs. As the name suggests, the place is the land of Lord Ranganatha. Sri Ranganatha Swamy temple here is one amongst the five sacred sites dedicated to Lord Vishnu together known as Pancharanga kshetrams and the deity here is known as Adi Ranga. The next major attraction here is the Nimishamba Temple, which is located on the banks of the Lokapavani river. Devotees believe that the goddess answers their prayers within a minute, after which one can visit Daria Daulat Bagh. Built amidst gorgeous gardens, Daria Daulat Bagh was Tipu Sultan's summer palace which was built in the year 1784 in the Indo-Sarcenic style and is mostly made out of teakwood. The palace is rectangular in shape and stands on a raised platform. After being captivated by the beauty of Daria Daulat Bagh, head to the Gumbaz. The Gumbaz is a mausoleum which houses the mortal remains of Hyder Ali, Tipu Sultan and his mother Fatima Begum. The structure is designed in the Persian style of architecutre with a large rectangle shaped garden which also has a path leading to the mausoleum. 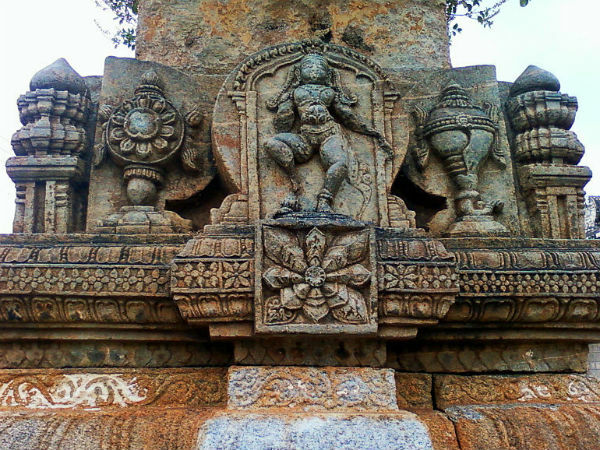 Karighatta is a hillock which is located a few kilometres outside the town of Srirangapatna. The hill provides an excellent view of Mysuru and Srirangapatna towns. The hill has a temple dedicated to Lord Vishnu who is known as Karigirivasa here.